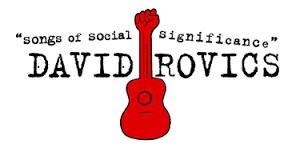 107 Cowgate presents internationally renowned singer/songwriter David Rovics will perform a special concert in Edinburgh’s Cowgate on James Connolly’s birthday. Supported by local artists (to be announced shortly) this one off gig is not to be missed. Tickets are £5 and will go on sale shortly.